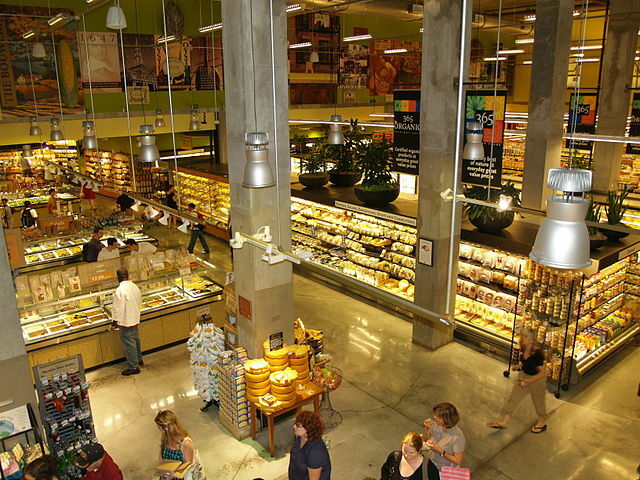 Largest Whole Foods Market in the US is in N.Y. City. Being able to find true Organics anywhere in our area, has been quite the challenge since we moved here. Availability is limited to the sparse pickings at the various Wal Mart Stores in Central Florida, a small Organic section at a popular grocery store, Publix which is in many nearby neighborhoods and Whole Foods Market, in Winter Park. Winter Park is about an hour away, depending on the traffic on I-4! Several Aldis Markets are near us, and occasionally they have some limited choices in Organic items, but they are not ongoing and tend to be only temporary. My thinking is that they are likely buying, odd or end lots, from other store close-outs. Now, my favorite California food store, Trader Joe’s, has just opened its first store in Central Florida in Winter Park, with more coming soon. The continuing charges being made against Whole Foods have me quite concerned. Until they are confirmed, I remain Neutral on this store. This should come as no surprise to anyone !